So its that time of year where love is in the air, so we thought it would be a good idea to showcase some of our amazingly talented performance students. 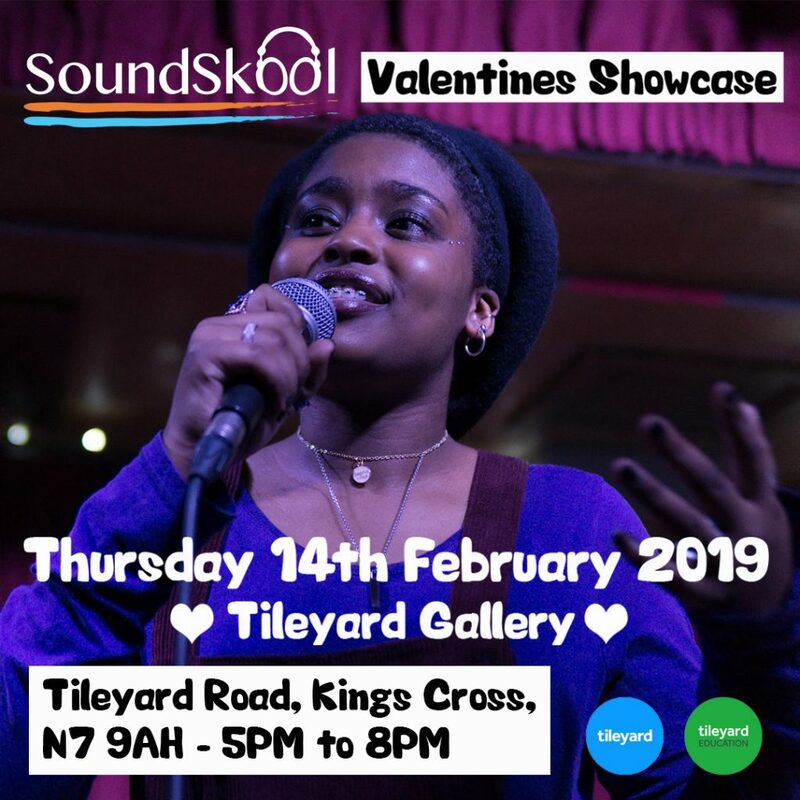 We are hosting this valentines event at the Tileyard Studios for us the first time we have ever used their Tileyard Gallery venue. We have lots of great performances lined up, we always appreciate your support by attending and showing our students your appreciation! We are looking forward to this event as always, date is Thursday 14th February (cant forget that!) times are 5pm to 8pm and the address Tileyard Gallery, Tileyard Road, Kings Cross, N7 9AH. FREE ENTRY.